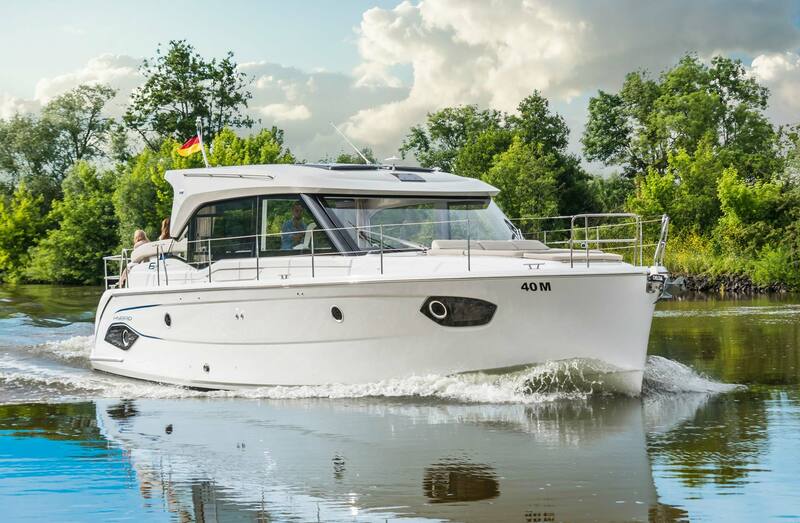 THE NEW REVOLUTIONARY E40, WITH HYBRID DIESEL-ELECTRIC ENGINE OPTION. 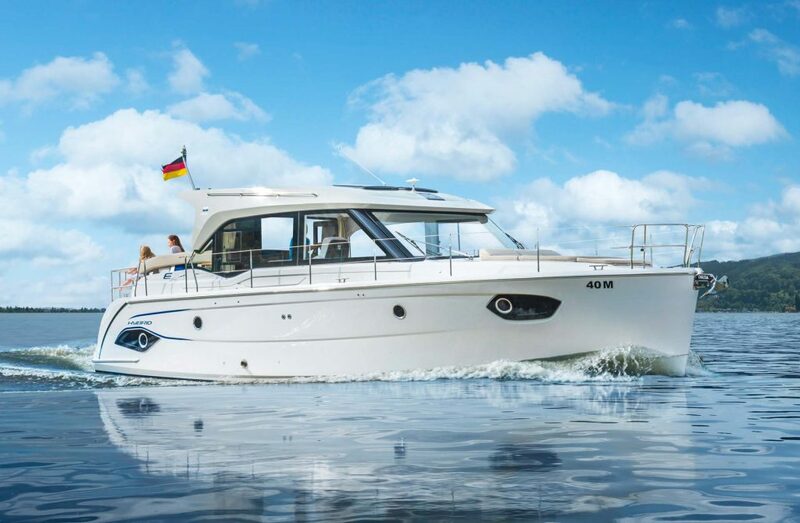 The new E40 semi-displacement boat is the 2017 European boat of the year, because of the mazing innovations we feature on this model. 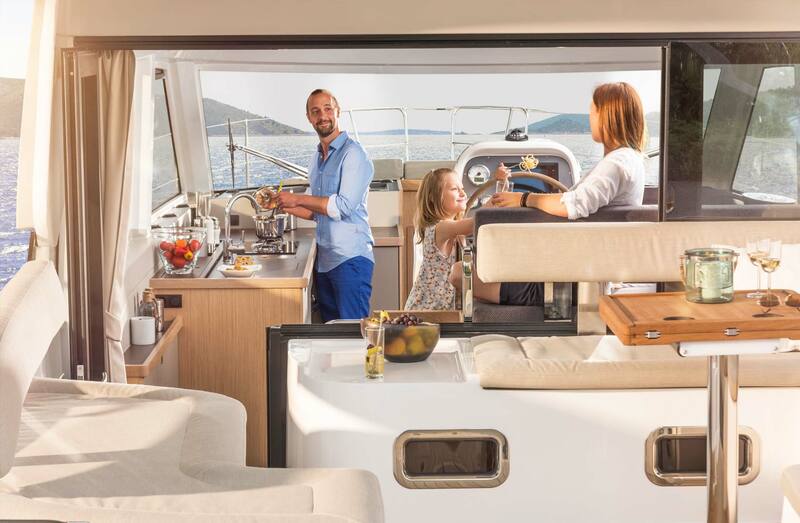 The E40 has a maximum speed of 16 Knots and a cruising speed of 12 Knots, all while cutting the wastes without making waves due to its amazing hull designing that includes a sacrificial Keel for balance. 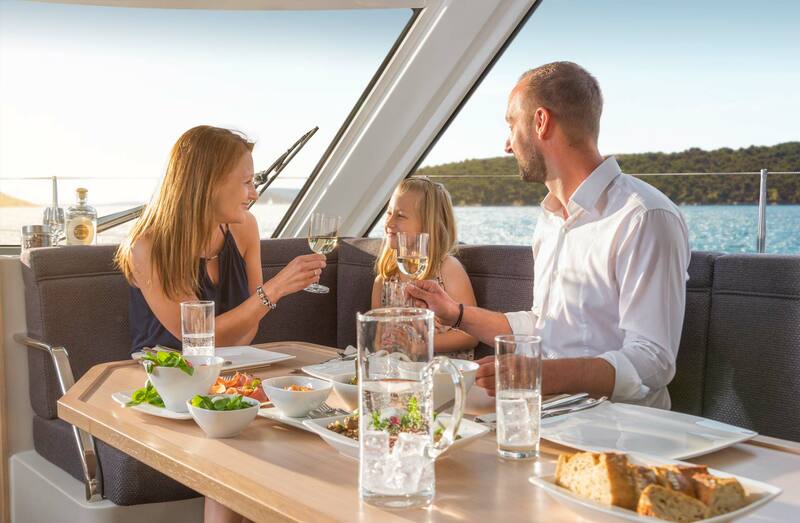 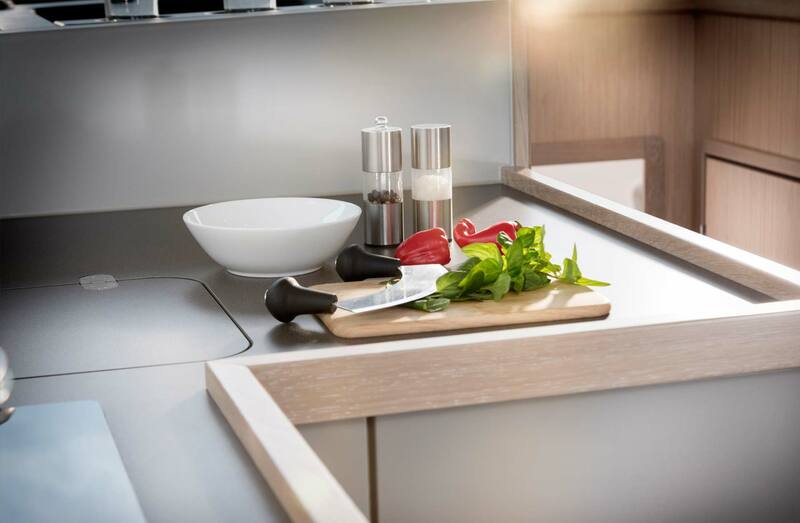 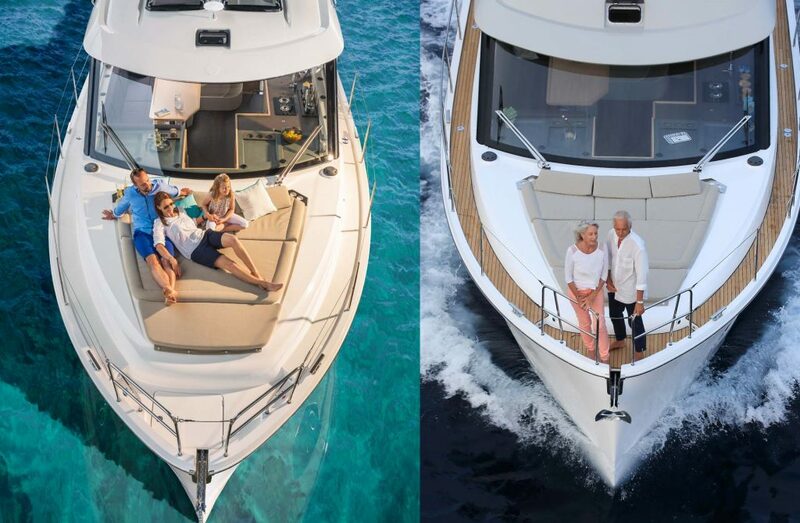 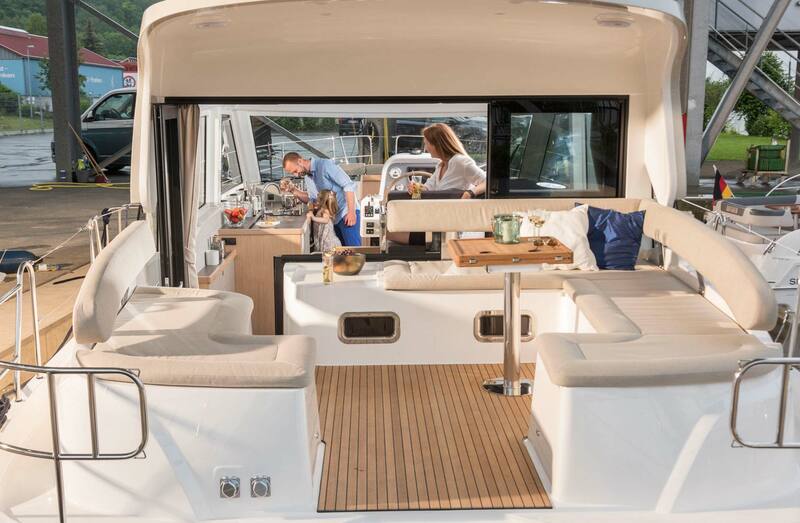 The Italian designed interiors are one of the best of the whole Bavaria line, with the option of 2 or 3 cabins and 2 bathrooms. 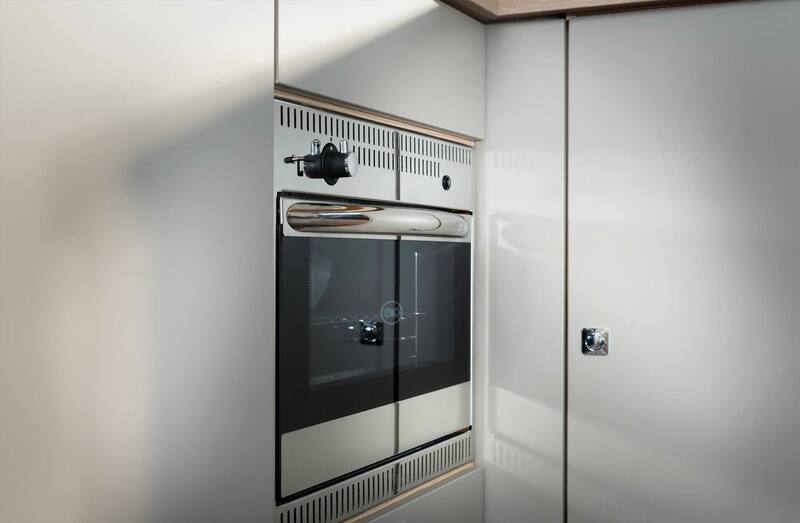 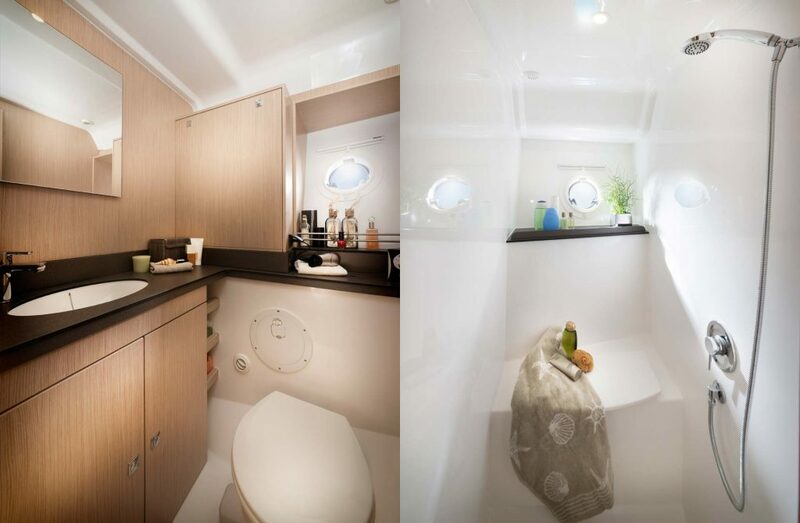 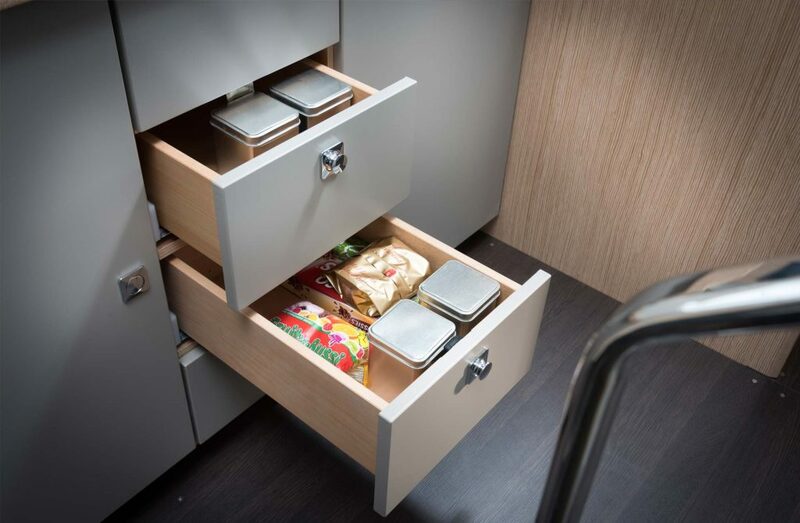 The master cabin features separate toilet than shower, and the engine room has a very easy access to all the equipment. 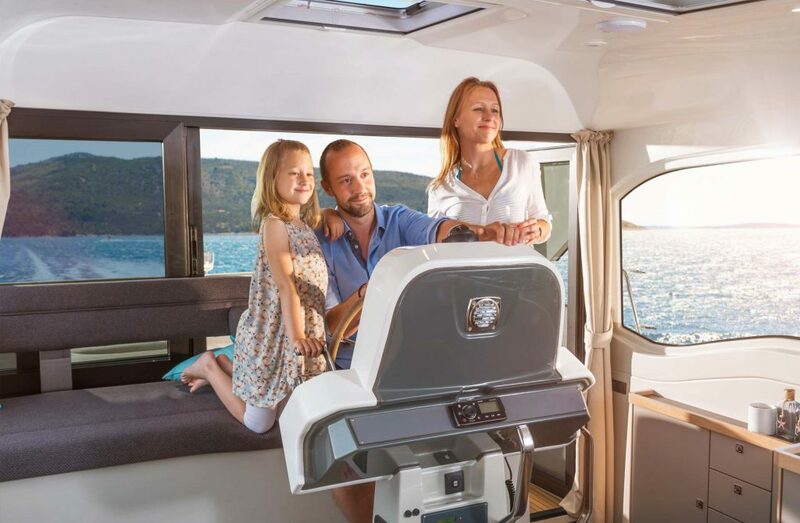 The E4o is the perfect boat for the retired sailor, or for the extended cruiser. 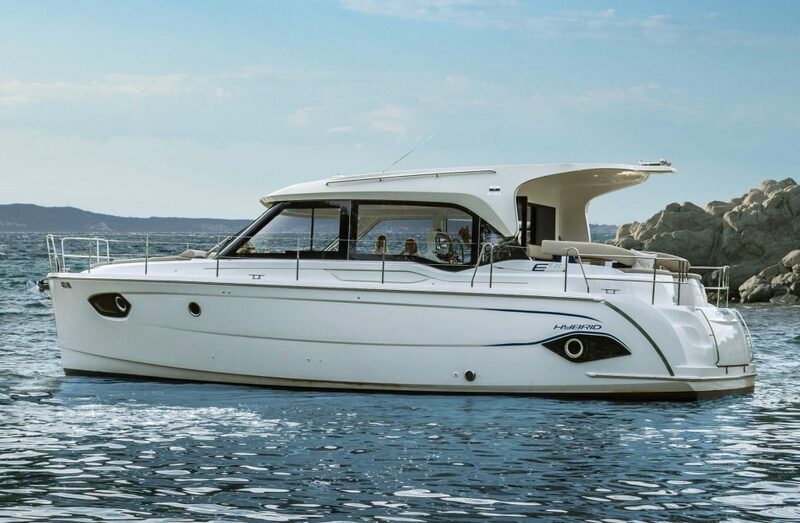 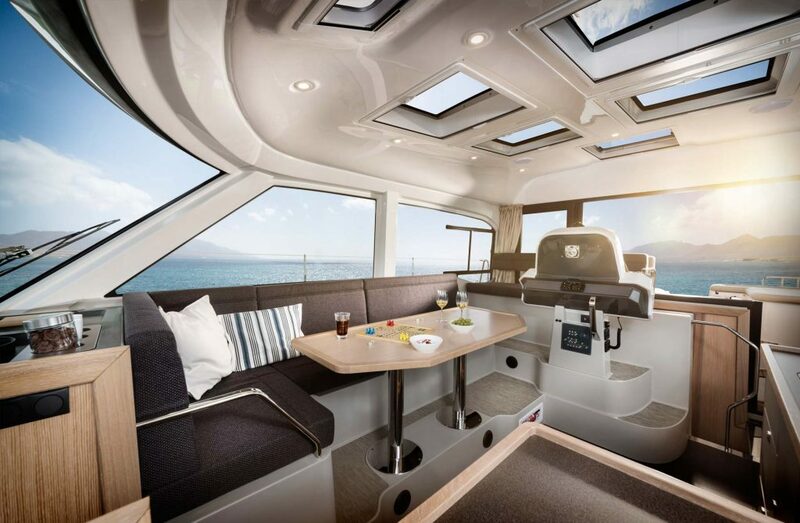 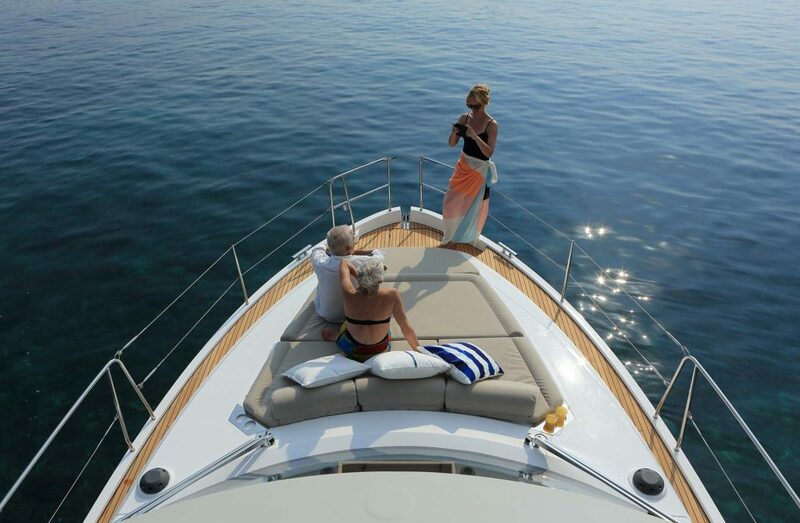 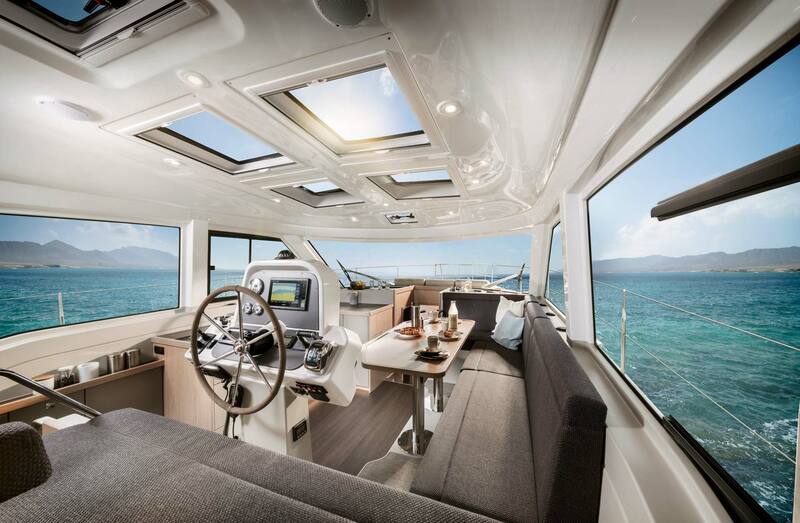 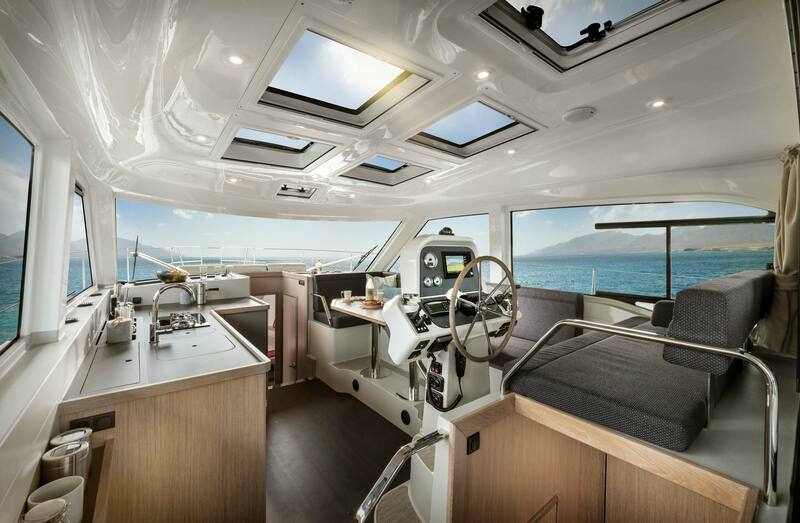 The helm location of the E40 allows the captain to be part of the saloon entertainment , and thanks to the massive one piece windshield and side windows, the captain enjoys a 180 degrees unobstructed view . 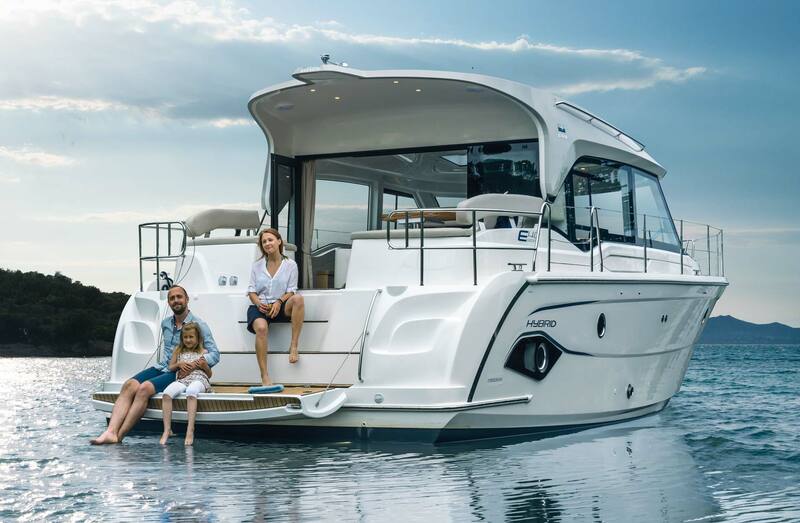 We believe that the E 40 is the perfect long range cruiser, because is have all the amenities that a live a board, plus the extended range that only a semi-displacement boat can offer. 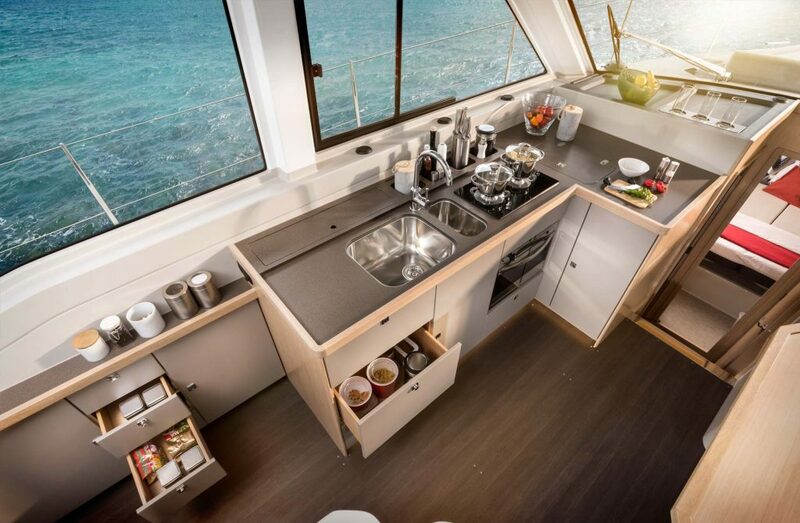 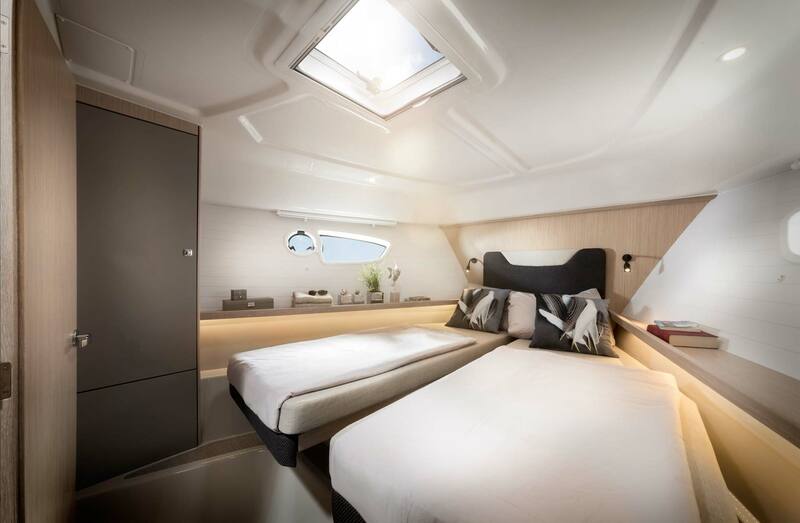 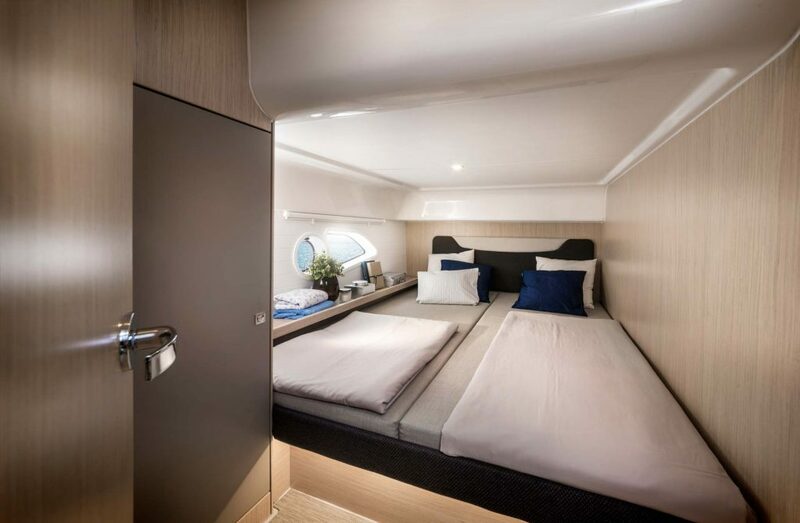 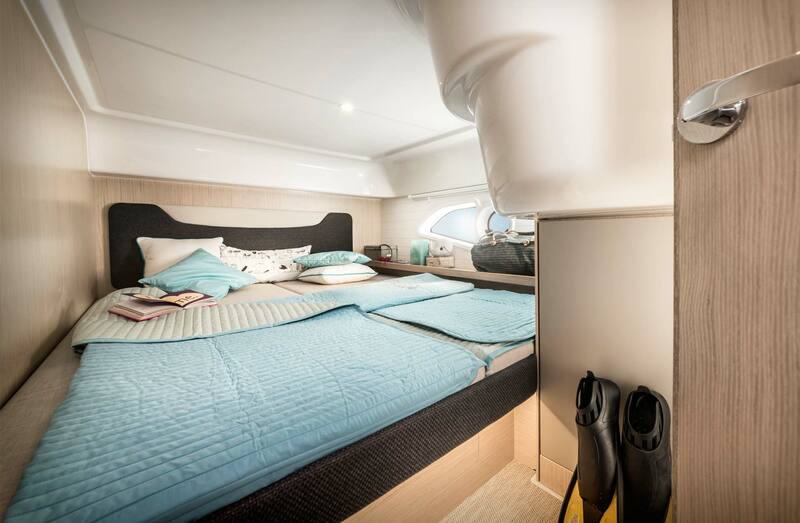 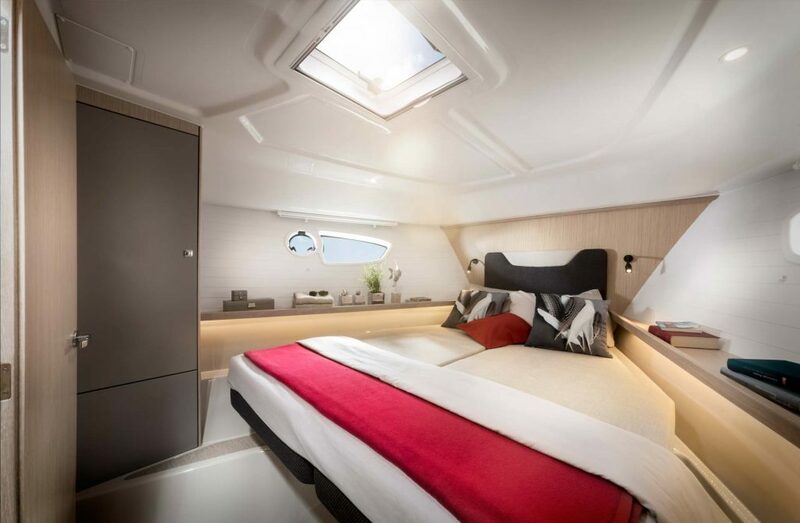 The E40 features two double bed cabins, one forward with bathroom and separate shower and another AfT with another bathroom. 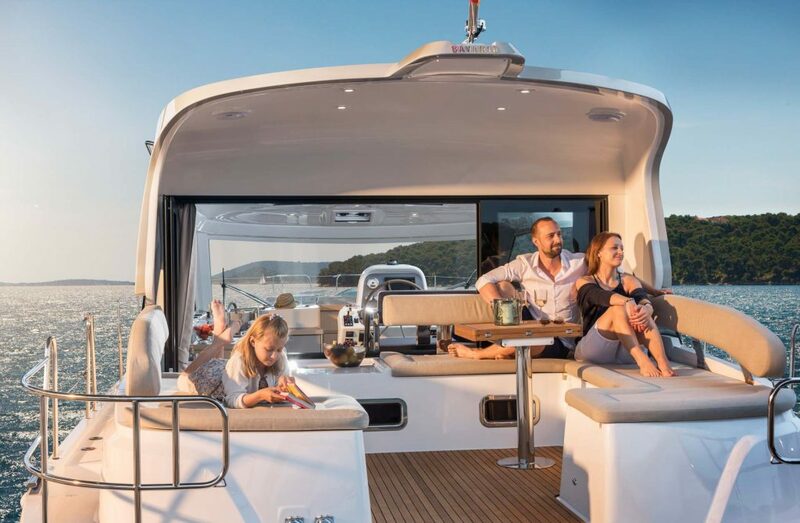 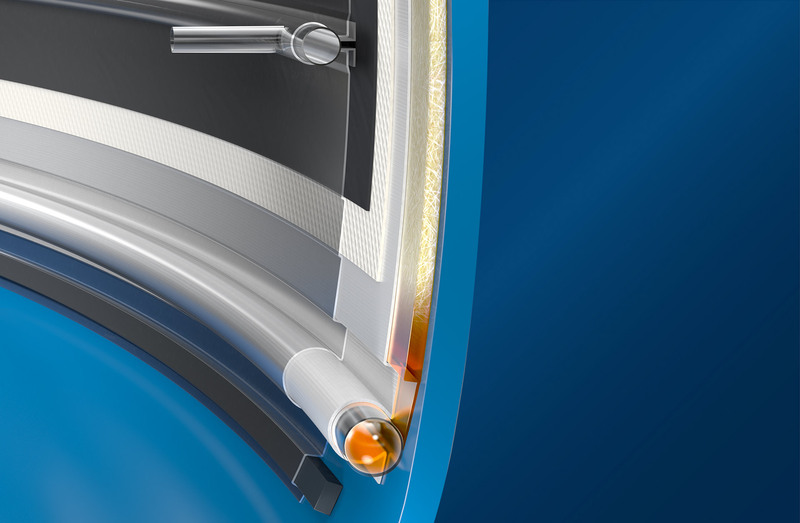 Another click and you will learn more about what makes the BAVARIA E 40 Coupe so unique.